SÃO PAULO , Mar 10 2015 (IPS) - Six million people in Brazil’s biggest city, São Paulo, may at some point find themselves without water. The February rains did not ward off the risk and could even aggravate it by postponing rationing measures which hydrologists have been demanding for the last six months. The threat is especially frightening for millions of people who have flocked here from Brazil’s poorest region, the semi-arid Northeast, many of whom fled the droughts that are so frequent there. The Nordestinos did not imagine that they would face a scarcity of water in this land of abundance, where most of them have prospered. The most famous of them, Luiz Inácio Lula da Silva, became a trade union leader and eventually president of the country from 2003 to 2011. Many people in this city of 22 million people share his concern about storing more water, especially in the Zona Norte or northern zone of Greater São Paulo, which will be the first area affected by rationing if the state government decides to take measures aimed at guaranteeing water supplies year-round. The Zona Norte is supplied by the Cantareira system of interconnecting reservoirs which, on the verge of collapse, is still providing water for six million people. It supplied nine million people up to mid-2014, when one-third of the demand was transferred to the other eight systems that provide water in the city. It is precisely the Zona Norte that is home to many of the Nordestino migrants and their descendants, as reflected by the numerous restaurants that offer typical food from the Northeast, such as carne-de-sol (heavily salted beef cured in the sun), cassava flour and different kinds of beans. Almeida, 40, was born in São Paulo. But his father came from the Northeast, the first of 14 siblings to leave the northeastern state of Pernambuco in search of a better life in the big city. He came in 1960, two years after one of the worst droughts ever to hit the region. He found a job in a steel mill, where “he earned so much money that a year later he went back home for vacation.” His brothers and sisters started to follow in his footsteps, said Almeida, who discovered his vocation when he spent eight years working in the restaurant of one of his uncles, before opening his own. “Life in the Northeast has gotten easier. With the government’s social benefits, people aren’t suffering the same deprivations as before, even during the current drought, one of the worst in history,” said Almeida, who frequently visits his father’s homeland, where his wife, with whom he has a seven-year-old daughter, also hails from. And the rural population, the hardest-hit by drought, has learned to live with the semi-arid climate in the Northeast, collecting rainwater in tanks, for drinking, household use and irrigation of their small-scale crops. This social technology has now been adapted by the Movimento Cisterna Já, a São Paulo organisation, to help people weather the water crisis here. “One of my 20 employees decided to go back to the Northeast; he plans to use his savings to buy a truck and sell water there,” said Almeida. This reverse migration is driven by the improved living conditions in that region, Brazil’s most impoverished and driest area. “I’m tired, life in São Paulo is too stressful. The drought makes things worse, but there will be a solution to that one way or another. Vitoria da Conquista has grown a lot, now it has everything, and living standards there are better,” he said. 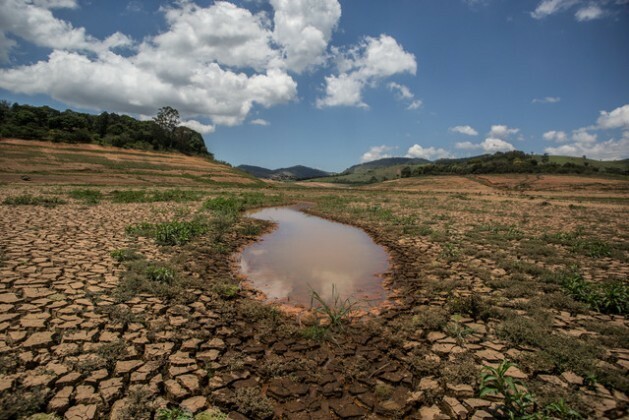 Meanwhile, the Alliance for Water, a network of 46 social and environmental organisations from the state of São Paulo, is lobbying the state government and mobilising society with the aim of “building water security” in the city. The February rains, which were heavier than average, helped the Cantareira system’s reservoirs recover some of their capacity. But the situation is still “extremely serious,” Marussia Whately, the head of the Alliance, told Tierramérica. 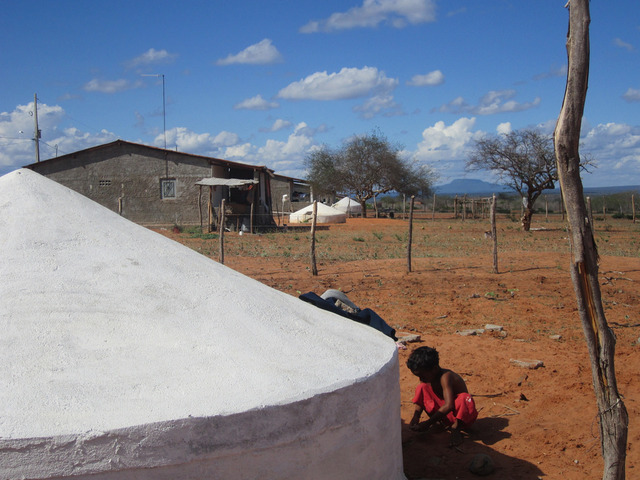 “This requires an all-out effort, especially to relieve the suffering of the poor outlying neighbourhoods, which do not have water tanks and can’t store up water for the hours or days without supply,” said Delcio Rodrigues, an activist with the group and the vice president of the Vitae Civilis Institute, which focuses on climate change. But, he complained, the state government and its water company, Sabesp, prefer “to generate confusion” by reporting that on Feb. 23 the water level in the Cantareira system reached 10.5 percent, double the late January level – while failing to clarify that they were referring to the “dead” or inactive storage water in the Cantareira system below the intake point, the water that cannot be drained from a reservoir by gravity and can only be pumped out. The company has been using this storage water since July 2014. Using the intake point as the reference, the level is minus 18.5 percent – far below the 12.3 percent of April 2014. The water crisis is the result of two years of drought in southeast Brazil. Exceptional rainfall would be needed in the rest of March in order to store up water for the six-month dry season. But because that is unlikely, experts in hydrology are calling for immediate rationing to avoid a total collapse. Sabesp has imposed undeclared rationing by reducing the water pressure in the pipes, which leads to an interruption in supply in many areas during certain parts of the day. The company also fines those who increase consumption and offers discounts to those who reduce it. But the Alliance for Water is calling for emergency measures such as public campaigns, transparent crisis management and heavy fines against waste. It also proposes 10 medium-term actions, such as more participative management, reduction of water loss, reforestation of drainage basins, and improved sewage treatment. In its attempt to avoid the political costs of rationing, the state government decided to use water from the Billings reservoir to meet demand. According to Rodrigues, this is “appalling” because that water is heavily polluted, with mercury, for example, which poses a serious health risk. But because of the crisis, reforestation has been stepped up in the water basins. That is necessary for the Cantareira system, where only 20 percent of the original vegetation still survives, Whately said. Forests improve water production and retention and curb erosion, but it is a long-term solution, and cannot resolve the current emergency, she added. This article was originally published by Latin American newspapers that are part of the Tierramérica network.